Lilly began her term as the 2013-2014 ONEN Dog of the Year at the Neighborhood Meeting on May 22nd 2013. She follows a long line of amazing pets that have held this prestigious title (Charles Wentworth, Shilo & Jasper). Lilly belongs to Monica Kinnaman and lives on Cascade Avenue. 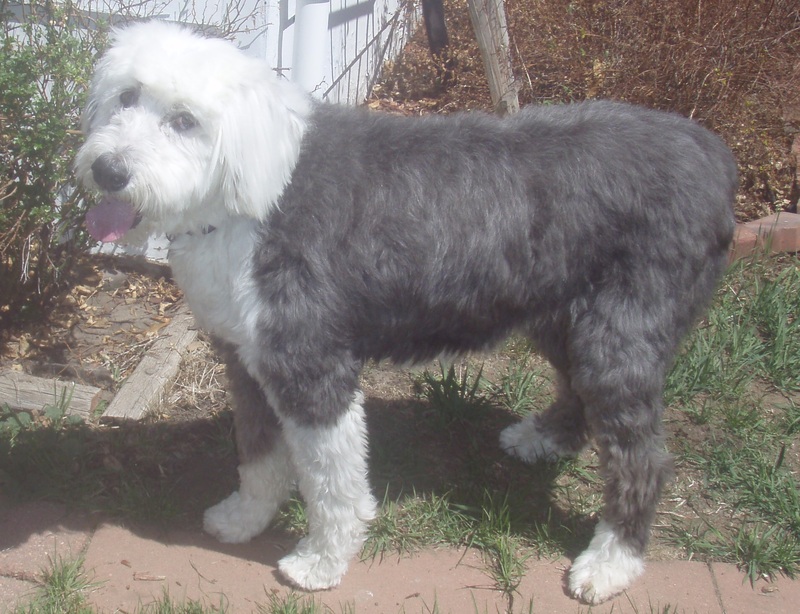 She turned 14th in April – a pretty good age for an Old English Sheepdog. When she was eleven her Mom and Dad divorced, the family separated, but no one wanted Lilly. She missed her family dreadfully at first but now is a happy, healthy, thoroughly spoiled senior citizen who loves her food, her walks in the park, and her Border Collie buddy. Many happy returns, Lilly! Lilly completed community service when she was the “poster child” for a book I have written on old abused and abandoned dogs . She appeared at the book signing of “So This Is Heaven” to promote the adoption of OLD unwanted dogs. Lilly loves everybody!